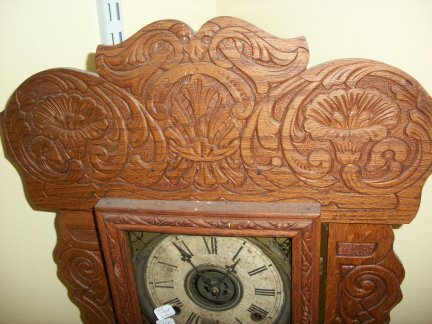 This oak kitchen clock was made by the Gilbert Clock Co. 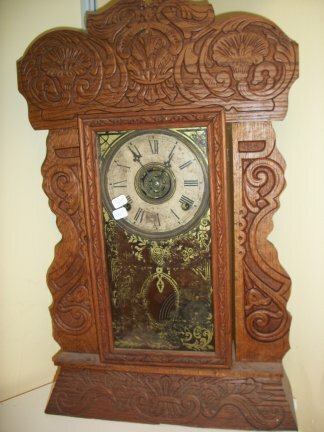 It has an 8 day movement and it has a timer. 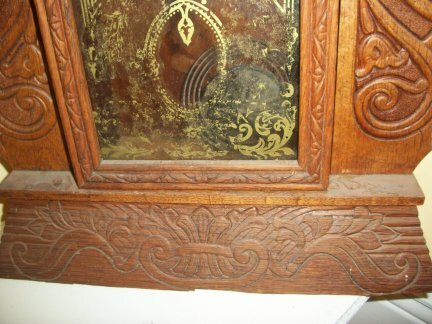 Bottom view of the clock.